When Kim, my daughter-in-law asked me if I would make her grandpa a mincemeat pie I immediately said “Yes!” Personally I love mincemeat, always have. So when grandpa asked for a mincemeat pie, I was more than happy to make one for him, minus the one slice I saved for myself. 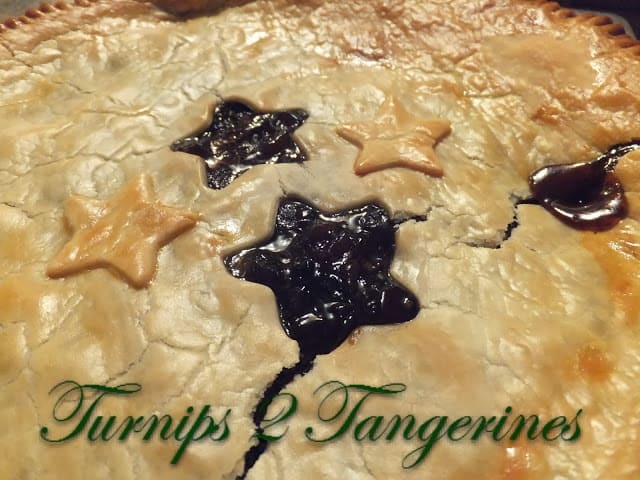 Nonesuch Mincemeat Pie is super easy to make using Nonesuch Mincemeat pie filling. What the heck is Mincemeat? Mincemeat is a combination of apples, raisins and citrus peel. Blended with sugar and spices to make a delicious cooking and baking filling. Mincemeat is derived from old English recipes and today remains one of the most popular holiday foods in England. In the late 1600’s, mincemeat was served as a meat pie flavored with fruit and spices. 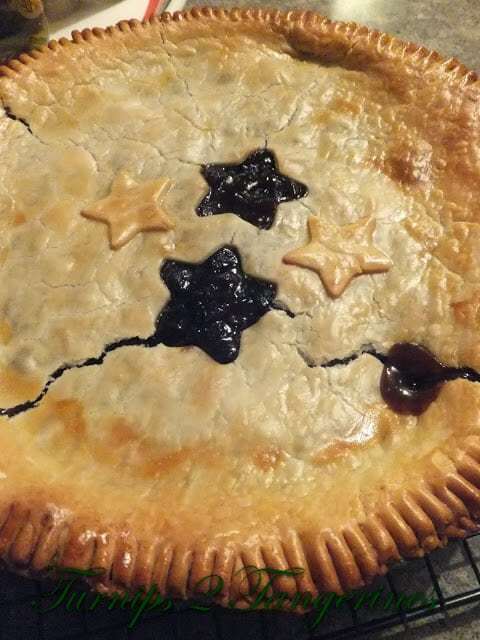 Over time, with more fruits and spices were added and less meat the pie ingredients changed and began being served as desserts, especially when mincemeat was brought to Colonial America. Ready to use mincemeat, first offered in wooden buckets and crates, is one of the oldest American convenience foods. Mincemeat has been steadily manufactured in the US for more than 100 years. Even early American cooks did not want to spend the time and effort required to make mincemeat at home. resulted in a product that could be used year round. The Merrell-Soule Company, manufacturer and distributor of canned goods, successfully introduced condensed mincemeat under the None-such Brand name for Borden. Merrell-Soule company was purchased by Borden in the late 1920’s. Unroll refrigerated pie crust and follow package directions. Line 9 inch pie pan with one crust. 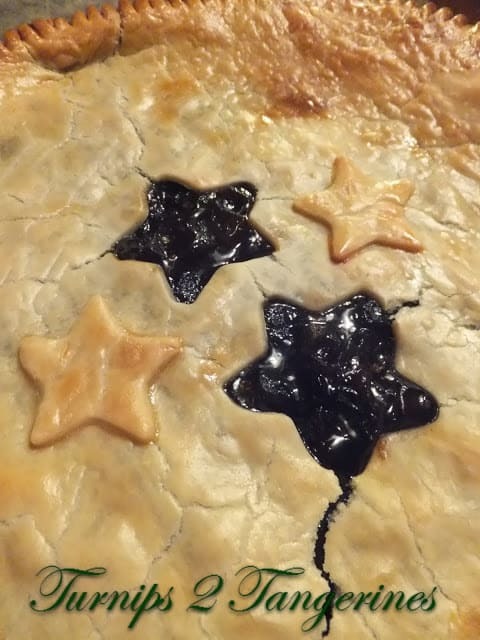 Pour mincemeat into pie crust. Cover with top crust, seal edges. Cut slits near center. Seal and flute. Brush egg mixture over crust. Bake 25 to 35 minutes or until golden brown. *If you like more pie filling, add two extra cups of mincemeat from an additional 27 oz jar. * Pumpkin Mincemeat Bars is another recipe using Nonesuch Mincemeat. Six Different Compound Butters are six recipes that transforms butter into something magical. I had to go to four stores to find Nonesuch Mincemeat in a jar…..started looking at Thanksgiving and didn’t find any ’til last week, just in time for Christmas. I guess mincemeat pie isn’t so popular in Northwest Arkansas. This was the only jar on the shelf. I’ve just made the pie and there’s not enough filling in the jar for my 9-inch pie. BUMMER! It’s Christmas morning! Why not make larger jars so that there will be enough mincemeat for my pie? I'm sure grandpa loved his mincemeat pie. Thank you for the info on mincemeat. All I really knew was tha t it is a pie. Thank you, also for linking. Merry Christmas to you and your family, Lynn. I'm glad to have gotten to know you!